One hundred and thirty tuatara have been freed into the Karori Wildlife Sanctuary in a continued effort to establish a mainland population. A team of scientists spent five days on Stephens Island in the Marlborough Sounds last week catching the tuatara. Conservation scientist Raewyn Empson said warm weather last week meant plenty of tuatara were out and about on the island and could be easily captured by hand. Tuatara might appear docile, but they could deliver a nasty bite and they had sharp claws, she said. With an estimated population of 50,000 tuatara on Stephens Island, plenty of the reptiles remained there. The new arrivals would triple the Wellington sanctuary’s population. In December 2005, the sanctuary became home to 70 tuatara returning to mainland New Zealand for the first time in more than 200 years. Those animals are thriving and some are thought to have mated. The new tuatara were also expected to do well. “There’s lots of food, and much less competition than on the island,” Ms Empson said. After a welcome by members of the Ngati Koata iwi yesterday, the tuatara were freed deep in the sanctuary, away from prying eyes. Today, the town of Oxford made the critically endangered fish a local hero in an effort to save it. The endangered Canterbury mudfish are so hardy they can exist by burrowing into mud and breathing through their skin. Although they have been in the area for thousands of years their future is under threat. That is why the town of oxford is trying to raise the fish’s profile. Maori have long known about the fish but it was local farmer Alfred Burrows who discovered their unique properties. In 1924 he was digging a well when he noticed several small fish in the paddock around him. Alfred Burrows knew you do not normally find fish living in paddocks so he sent a live specimen to the Dominion Museum where it was found to be an entirely new species. Unfortunately by then the Canterbury plains had changed from lush wetland to productive farmland. Because so much of their habitat is gone they’re classified as ‘nationally endangered’. In fact, it is the country’s second most threatened fish. So the area’s supporting the creature online – the fish has its own website – mudfish.org.nz. And everyone here hopes the extra attention will help out these lesser known locals. Vodafone and Run The Red are excited to announce Donatelive! a new service which is the first of its kind in New Zealand. The service enables customers with Vodafone live! capable handsets to donate to the Yellow-eyed Penguin Trust. Users can donate $3, $5 or $9 and in return will receive multimedia content downloaded directly to their phone. 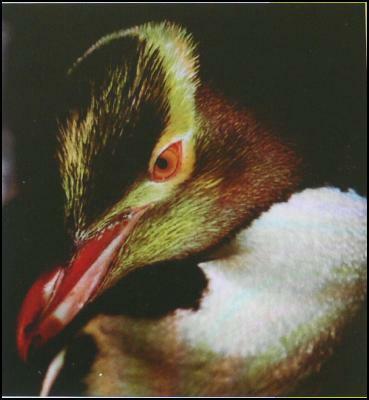 Content includes Yellow-eyed penguin ringtones, screensavers and videos. Vodafone will pass on 100% of the donation to the charity. Customers can also see information on Vodafone live! about the Yellow-eyed Penguin Trust and the work they are doing to save one of our national treasures. Fancy a dirty weekend in your own back yard? Scoop: Fancy a dirty weekend in your own back yard? 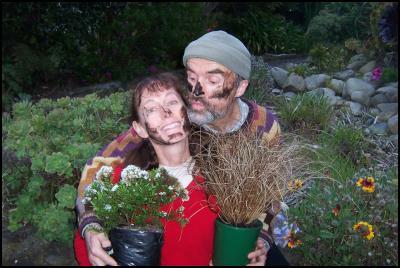 Residents of Wellington and the Kapiti Coast are encouraged to have a Dirty weekend in their own back yard. After a session clearing environmentally-damaging weeds from their garden, they will be rewarded with a replacement native plant at weed swaps at Wellington’s Waitangi Park from 10am to 2pm on October 13, and the Kapiti Uniting Parish at Raumati from 2pm to 5pm on October 14.